Two judges favored Alvarez 115-113, while a third had it 114-114. The AP scored it 114-114. 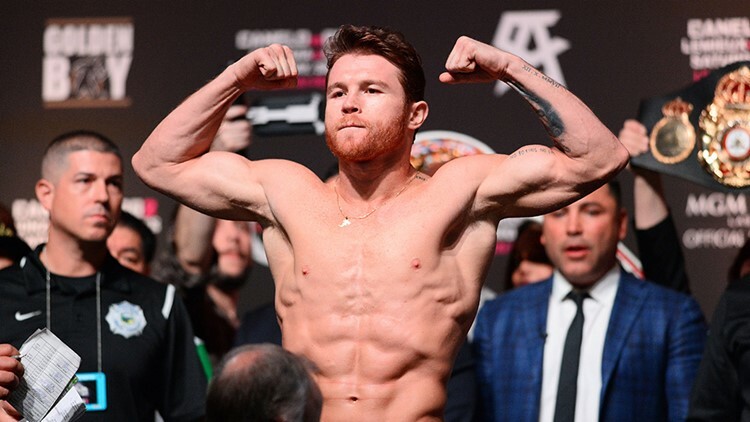 LAS VEGAS — Canelo Alvarez won the middleweight title by the narrowest of margins Saturday night, taking a majority decision over Gennady Golovkin to hand the longtime champion his first loss as a pro. A year after the two fought to a draw, the second fight was almost as close. There were no knockdowns, but the action was spirited throughout as the two battled to the final bell before a frenzied crowd at the T-Mobile Arena. The two fighters switched roles, with Triple G trying to counter Alvarez and the Mexican fighter coming forward much of the fight. Both landed well to the head and Golovkin controlled some rounds with his jab though neither were ever in any trouble of going down. "He's a great fighter but I'm a great fighter and I showed it tonight," Alvarez said. The fight was a rematch of a draw last September that left neither fighter satisfied.